When buying furniture, more and more people are looking for pieces that are not only chic, built-to-last and easy-to-DIY, but also come with a minimal eco-footprint. Even if they manage to find planet-friendly options, these often cost a pretty penny. 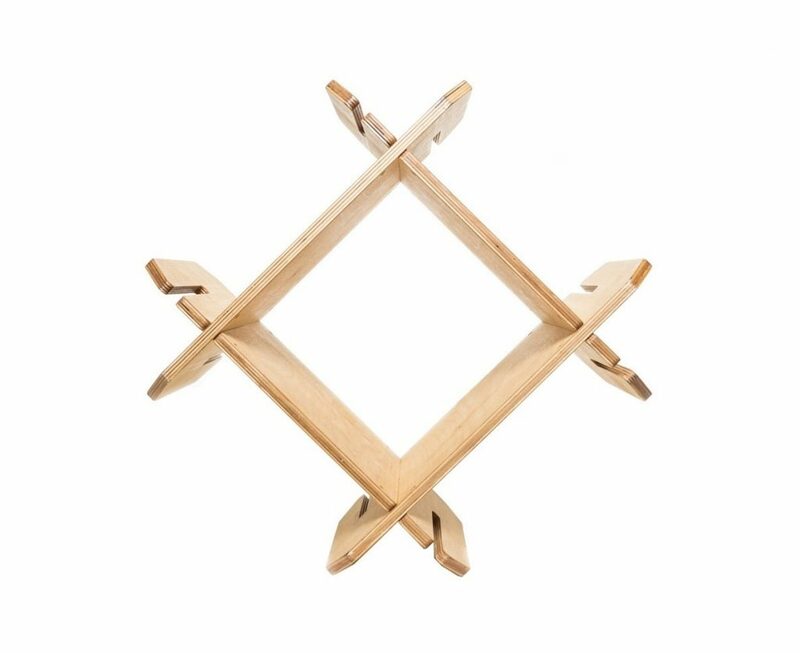 Four years ago we had an idea and started making furniture that looks good, makes a handy addition to any home, and goes easy on the environment – and your budget. This is how Fészek Részek was born. Sustainable furnishing starts with the basics. 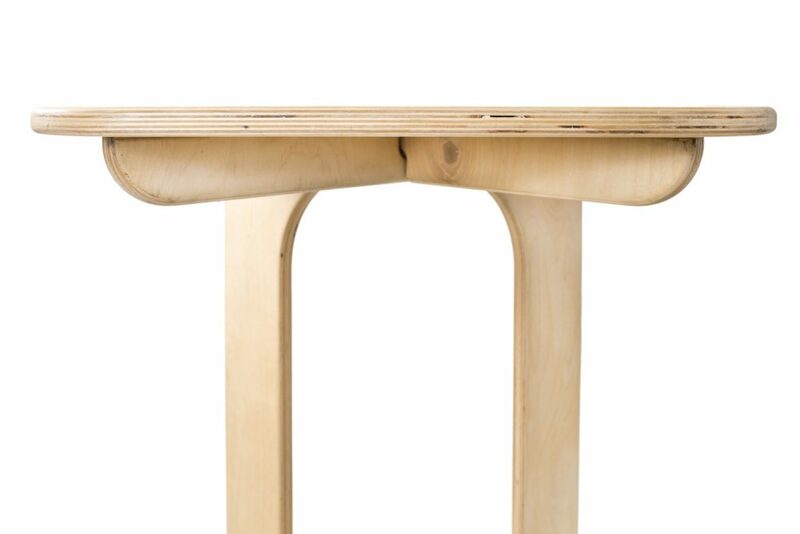 We use birch plywood, the absolute superstar of eco-conscious materials. It has a clean, ageless feel to it while it also contains far less toxic substances than its more popular competitor, fibre wood. And that’s not all. We treat each and every piece of furniture with AURO’s chemical-free products which are currently the most environment-friendly paints and finishes on the market. 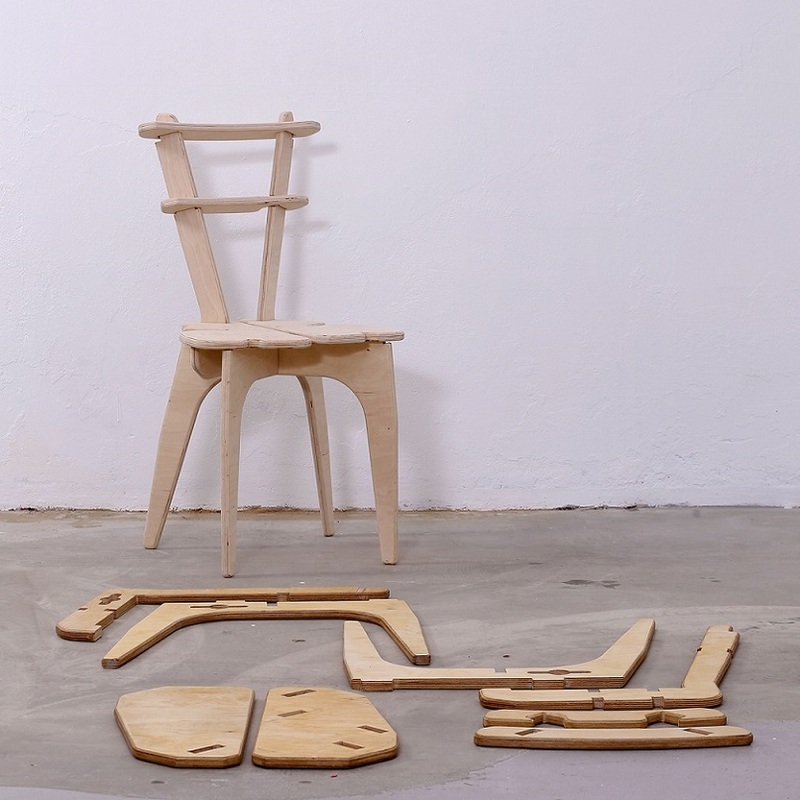 Fészek Részek products assemble like a puzzle, with each element sliding seamlessly into one another. How is this good for the environment? Firstly, it helps us cut back on waste production. Turning scrap material into raw material, our manufacturing process leaves only 5% waste. Not bad, considering that the industry average is a whopping 60%. 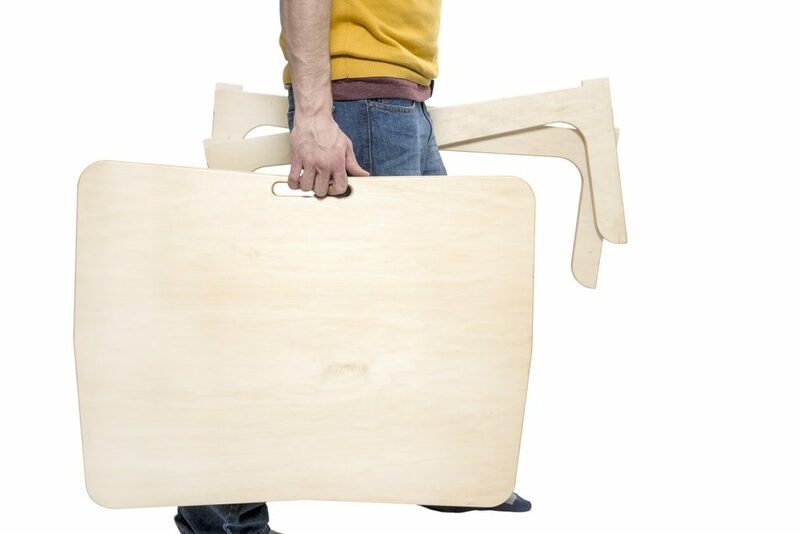 Secondly, furniture parts are glued together by the laws of physics – not screws or adhesives. Our precision machines can cut components down to one thousandth of a millimeter. This means that to create a smaller piece of furniture we need the same amount of energy as you’d need for an hour of hair-drying. We only manufacture on demand so we don’t need a warehouse either but we can still ship our products in 2-4 weeks. Why is this good for you? This way we can keep production costs at bay and make our furniture affordable for more and more people. Who’s the brains of Fészek Részek? 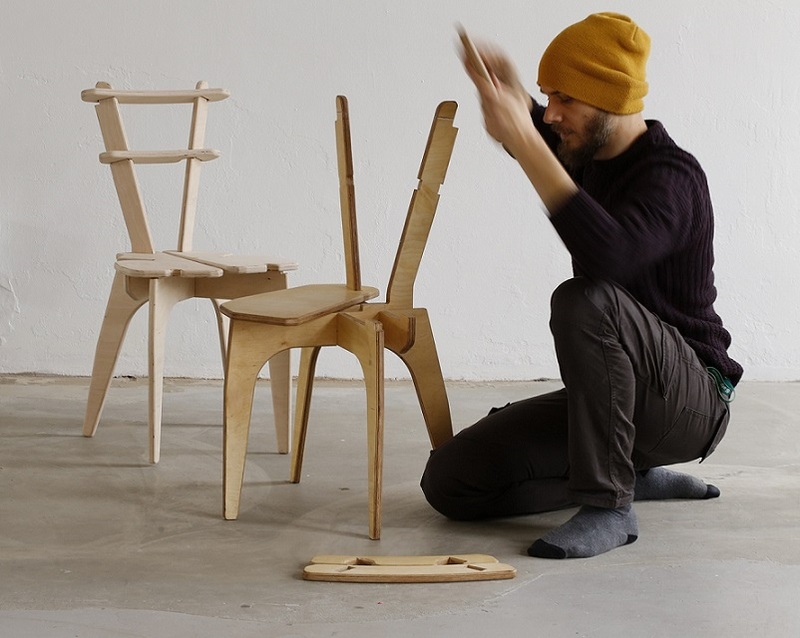 Fészek Részek founder and designer László Bergovecz, aka BergO, graduated from Middlesex University with a degree in Design, Interior and Applied Arts, and set off on his furniture design career at a contemporary furniture workshop in London. This is where he first came across CNC router technology and the unparalleled freedom it lends designers. After seven years in the English capital, he felt it was time to move back to his native Hungary and bring the concept home. But with one important difference. 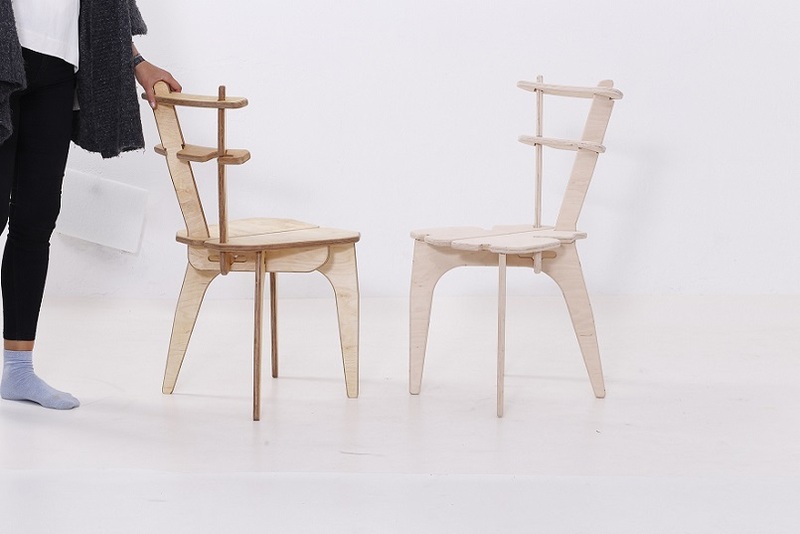 He kept the idea of working with birch plywood and using a CNC machine but made sustainability the no. 1 guiding principle from design to delivery. It’s extremely important for BergO that not only are his products unique and well-designed but are as eco-friendly as humanly possible. This is what governs every step of the manufacturing process. BergO is not afraid of logical twists, in fact, he likes problems: taking them apart, untangling them and putting them back together. Just like his furniture. All our everyday decisions, like how we get from A to B, what we eat or where we buy our personal items, have a real impact both on our future and on the future of the environment. We at Fészek Részek believe that with a little effort we can find better alternatives for many of these things. We’ve been tirelessly working on making eco-savvy choices available for everyone. And we are hoping that others will follow suit. Have questions about our products? Give us a call at +36 (20) 489-7933 or drop us a line at feszekreszek@gmail.com.